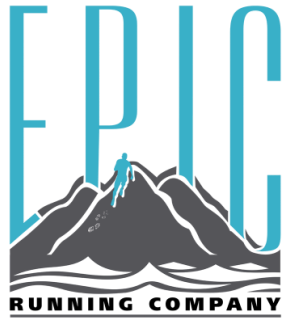 Youth FAQ - Epic Running Co.
Refund Policy: Like most sports, there are no refunds. Sorry. Will there be running? Surprisingly, yes, you will be required to run. After all, it IS a running program. And it’s in our name. Do I have to be able to run before I start the program? You should be able to run at least ten minutes at a time before you register, or at least before the first practice. So if you can’t do that, start practicing! But you don’t have to be fast, and you don’t have to have running experience. Will I sweat? I assume, if you’re healthy, you will sweat. It’s a good thing! Don’t be afraid. Embrace the sweat. What do I need to bring to practice? You are REQUIRED to have a water bottle, proper running shoes and weather-appropriate clothing. Wearing athletic/running clothes will only make your experience more comfortable, so I would highly suggest running shorts and a comfortable shirt. When it is cold out, you’ll want to dress in comfortable layers with gloves and a hat. What if I decide I don’t like running? I wouldn’t like that, but it’s ok. I want you to be a part of the program if that’s what YOU want to do. You never know, you may end up loving running! Just give it your best, that’s all you can do. Can I wear my headphones when I run? Nope, sorry, no can do, not gonna happen. As much as music can help with “the zone”, we want you to be able to hear us and others. What would happen if your workout was over but you didn’t hear us tell you and you kept going and then an hour later, you’re still running? That would be nuts. We will have music when it’s appropriate. Let me know your favorite songs and we can probably add them to the playlist. Maybe the coaches will even sing to you. Can I throw the javelin? No. Just no. And I won’t have a javelin anyway. What if I have more questions than what’s on this FAQ? Just email me or call me at 910-515-5886 with your questions. You can even text me!